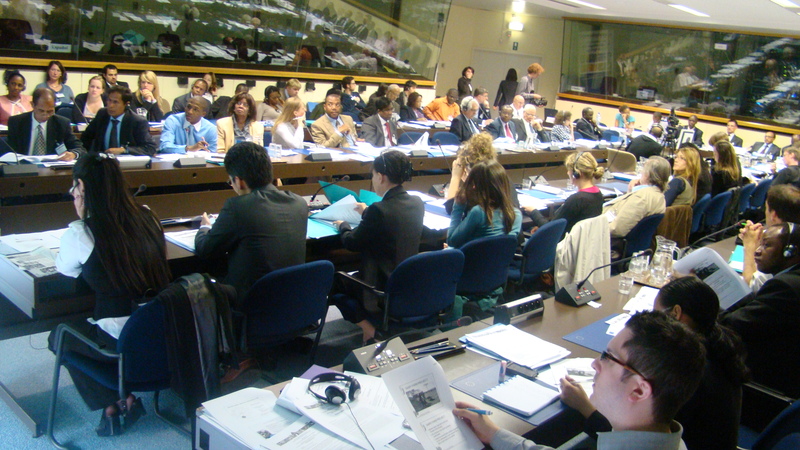 The 19th Brussels Development Briefing was on Youth and rural development in ACP countries and took place on 16th June 2010 at the Borschette Center. This Briefing discussed the challenges and opportunities for future ACP young farmers and the potential of rural youth in terms of employment, income generation, access to financial services, investment and ICTs as well as provision of formal and non-formal agricultural education and social services. The Briefing also looked at the policy options favourable in support of young farmers and their contribution to development thinking. Agriculture and rural areas need to become more attractive for young people to encourage them to live, work and invest in them. Agriculture must also become more productive and profitable generating remunerative livelihood opportunities for rural youth. This panel will discuss the potential of rural youth in terms of employment, income generation, access to financial services, investment and ICTs as well as provision of formal and non-formal agricultural education and social services. Development interventions will be needed in education, health and agricultural services sectors targeting youth. The key challenge for governments, development agencies and actors is to identify innovative ways to promote the positive contribution of youth to development at local, regional and global levels. On the basis of positive experiences, we will discuss the need to strengthen young people’s capacities, agricultural knowledge and skills through education and training as to enable them to become productive farmers and contribute to rural development. We will also discuss favorable development policies. Briefing “Humanitarian Assistance and rural development”: Video material online!